Sometimes we make New Year’s resolutions that are hard to keep, but making a commitment to live a greener lifestyle is easy because there are so many ways to start living a little more eco-friendly. Below is a list of ideas for living green in 2013. Even if you just get into the habit of doing of few of the things suggested below, you’ll be making a positive impact for future generations while protecting our environment. Switch to using natural cleaners at home like baking soda, vinegar and lemon juice instead of harsh chemicals. They are better for the environment and your health. Turn the thermostat down 5-8 degrees when you are not home and while you’re sleeping during the winter months to save energy and money on your heating bill. In the summertime, do the opposite. Set the thermostat a few degrees higher when you are not home so the air conditioner doesn’t run so much. Also, open the windows when the outdoor temperature is comfortable instead of using the air conditioner. Make the most of natural lighting by arranging furniture such as a desk or reading chair near a window and do homework or read by natural light instead of turning on the lamp whenever possible. Open up the blinds during the daylight hours instead of switching on the lights. Turn the water off. Whether you are washing your hair or brushing your teeth, turning the shower or faucet off while your scrub and brush will save a precious natural resource – water. When doing laundry, only wash a full load of clothes. Clean the lint out of the dryer after every load. This makes the dryer more efficient and eliminates a fire hazard. Use reusable shopping bags for every shopping trip whether you are headed to the grocery store, shoe store or the mall. This eliminates waste. Don’t waste unwanted holiday gifts. Re-gift them or donate to charity. Grow your own vegetable garden. You’ll save on your grocery bill, reduce trips to the grocery store and be eating something healthy that you know wasn’t sprayed with harmful pesticides. Reduce, reuse, recycle. 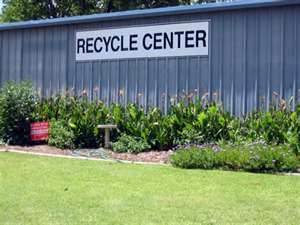 Set up a recycling station in your home or garage and teach the kids what things can be recycled from aluminum cans and newspapers to glass jars and plastic packaging. Additionally have a yard sale to get rid of any items in your home that you don’t need but are still usable, or donate them to charity. Walk or bike to work and other activities whenever possible. Or car pool with friends. This saves you money, while reducing wear and tear on your car and reducing emissions. Shop online to reduce fuel emissions. Purchase appliances with Energy STAR ratings ensuring the energy efficiency in the kitchen and laundry room. Connect your kids with nature – appreciation now leads to preservation for future generations. Plan a monthly outing such as a hike at a state park or an afternoon of fishing at a nearby lake. These are not the only things you can do to live greener in 2013. Maybe our ideas will inspire some of your own.